Janis Wallin is an electric bassist from Chicago, IL who breathes life and excitement into her playing while laying down a rock solid foundation that her bandmates just love to ride. Nicknamed "The Mistress of Groove" by world renowned bassist, Victor Wooten, this musician has been holding down the low end for over 2 decades. Whether thundering her way through high energy rock tunes, or holding down an odd-time fusion groove, the response from musicians and fans alike is always the same: "This girl has a deep pocket, and her playing just feels good." Janis got her start in music at the age of 5 with a decade's worth of classical piano training before switching to electric guitar and finally finding her calling in the electric bass. After earning her bachelor's degree at Franklin & Marshall College in Pennsylvania and conquering the local music scene as bassist for 5 different bands of all styles, she set her sights on greater things with a move to Los Angeles to attend Musicians Institute. 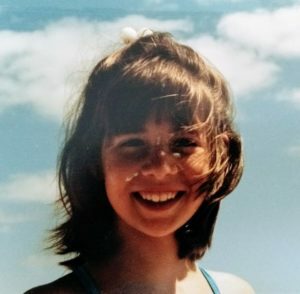 She quickly rose to the top of her class at MI, receiving the prestigious "Outstanding Bass Player of the Year" award, and moved on to become an instructor at the school after graduating with honors. 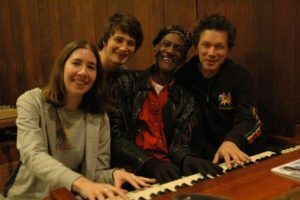 Los Angeles provided Janis with invaluable education and experience performing with various bands in rock, jazz, and even punk genres, but in 2002, she decided to commit her energy to her budding original band, Family Groove Company (FGC). FGC relocated to Chicago in the fall of 2002 and began a slow but steady climb to the ranks of a DIY powerhouse, independently releasing four full-length albums and logging close to 1000 shows nationwide from Colorado to Georgia to Vermont. 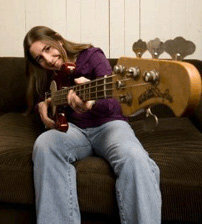 Janis' success with FGC eventually gained her recognition from famous bass players like Victor Wooten and Steve Bailey, as well as offers to lend her bass talents to several other projects. 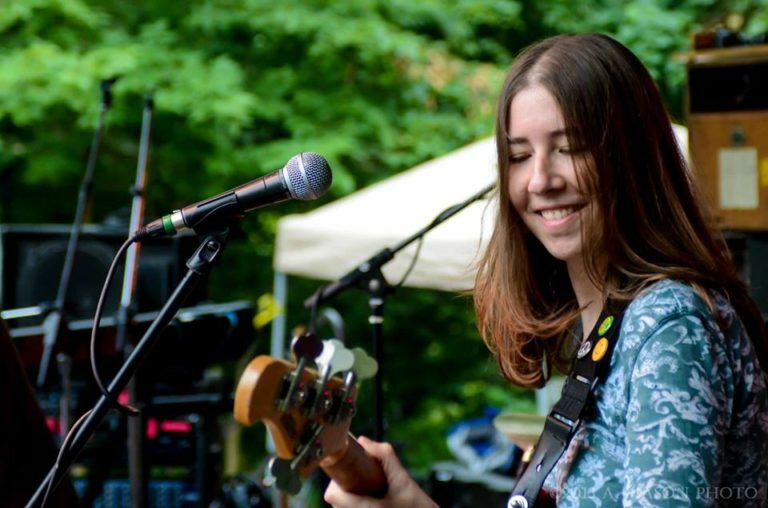 In particular, Janis was scooped up by the Steve Kimock Crazy Engine in 2009 for a national tour featuring Steve Kimock on guitar (Bruce Hornsby, Grateful Dead side projects) and Melvin Seals on keyboards (Jerry Garcia Band), and Janis more than held her own with these heavyweights twice her age. She has also performed in numerous instances of The Everyone Orchestra, an all-improvisational act with a rotating lineup. These shows have had Janis alongside great musicians such as Jonathan Fishman (Phish), Michael Kang and Jason Hann (String Cheese Incident), Eric Kraso (Lettuce/Soulive), Jeff Coffin (Dave Matthews Band), and many more. Janis' extracurricular musical adventures have also led to collaborations with Bernie Worrell (P-Funk, Talking Heads), Jennifer Hartswick and Natalie Cressman (Trey Anastasio Band), Allie Kral (Yonder Mountain String Band), Steve Molitz (Particle, Phil Lesh & Friends), Holly Bowling, and too many others to list. One of Janis' greatest joys as a bassist is playing with new musicians and experiencing the energy of a live show. Janis currently resides in Chicago IL and performs with original projects Family Groove Company and Sun Beard, as well as with tribute acts Terrapin Flyer (Grateful Dead), Big Suit (Talking Heads), and Johnny V's Wildflowers (Tom Petty). In her spare time, she teaches lessons and subs in several other groups.